This place is fairly new, but the style is strictly old school -- it's a bit like stepping into 1975. There are old school drinks (rum and cokes) being consumed, old school bar food being served, and old school gals working the bar who call every customer "Babe" or "Hon." 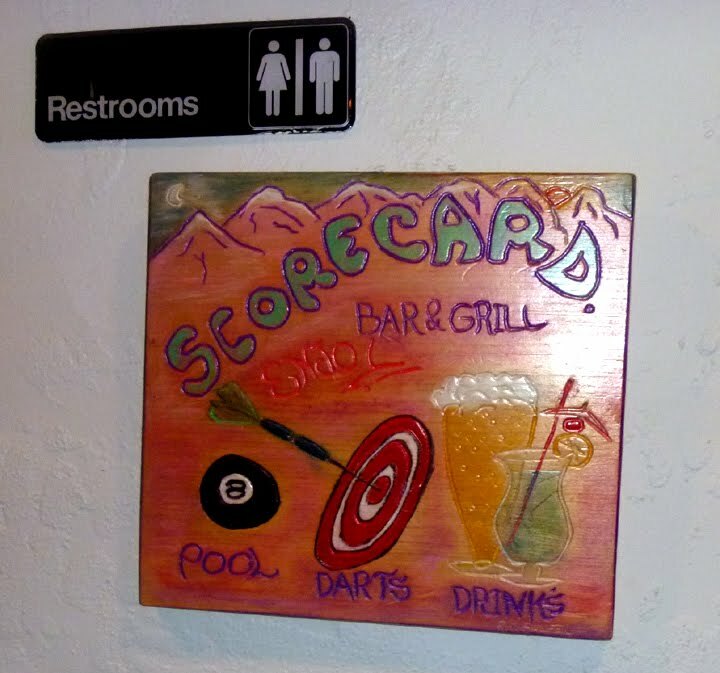 And apparently everyone in the place smokes (odd how often that goes together with "sports" bars). 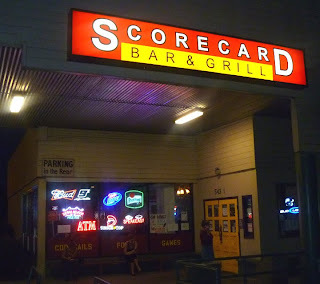 Despite the name, the sports theme doesn't appear to go any deeper than any typical suburban, strip-mall bar. The interior is fairly large and utterly devoid of any charm or character, but there do appear to be some real characters among the customers and staff. The cook, Shawn, here left Pinehurst pub. He was a pretty good cook there, but Pinehurst menu is 10 times better after Shawn has left. And Scorcard is 10 times less than what Shawn used to do. Shawn the cook can do better, he has slid down hill. Much better menu and food at Pinhurst Pub. And everybody knows it. The bartenders. Most are cool, one during the day shift is not. The Pinehurst makes me sick! place is owned by a former cop but you wouldn't know it by the crap that goes down there. Shawn is a great cook. He just wasn't down with the shady things going on at the PIneHursT PuB, so they kicked him out.